A warm holiday greeting from the garden to all our readers. Another year has come to an end, and it’s time to celebrate and give thanks. Here are a few suggestions for your gift list this year: try including plants as green gifts for neighbors and friends to express your affection. Plants can add beauty and grace to any home, as well as providing food and medicine. A few picks for helpful, growable gifts. 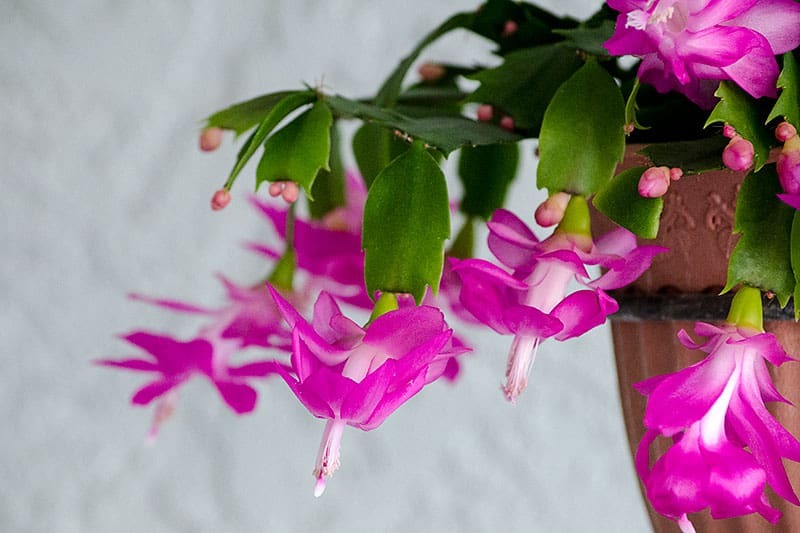 Commonly know in Costa Rica as bailarina, this native regional plant blooms at this time of the year and is a favorite as a potted indoor plant. It’s found in leading nurseries around the country. An epiphytic cactus, it lives on branches of trees, or in pots with potting media that is used for orchids. A mix of fibrous compost is a good example. The flowers are very beautiful in shades of red and orange. I can’t imagine living in the tropics without my friends the aloe plants. They have helped us so many times with our health issues, and they are so easy to grow that you don t even need a green thumb. Called sábila in Spanish, aloe vera is available in nurseries around the country. All that potted aloe pots need is some sandy soil and watering once or twice a week. Keep the plants in an area of the home where there’s good morning sun with a bit of partial shade. Whether it’s sunburn, burns or scrapes, aloe is the best. Applied to wounds, aloe gel is a mild anesthetic, relieving pain and swelling while acting as a powerful antibacterial and antifungal agent. Aloe vera juice can be very effective for treating most digestive conditions too; it helps to detoxify the intestines, neutralize stomach acidity, and relieve constipation and gastric ulcers. Blend the gel of aloe with papaya and water for a refreshing, healing drink. Here is another plant that is a native of Central America, and is now found around the world as a leading ornamental, particularly at Christmas time. Poinsettias bloom during this time of the year when the days are shortest. They make a great gift for those plant-lover friends. Poinsettias are primarily grown as potted plants, but in the tropics, gardeners can plant poinsettias outside where they grow into shrubs. Most of us are familiar with poinsettia flowers. If you look closely, you’ll see that they are actually bright red leaves that surround a group of small yellow flowers. Nurseries offer different varieties of poinsettia (known as pastora or buena noche in Spanish). Finally, here’s a recipe for making an all-purpose insect spray for your plants – a terrific gift for gardeners on your list. We’ve been using it for several years with great success, and it’s made from safe ingredients found right at home. We use it for both garden vegetables and ornamentals. Blend all the ingredients together, then use a hand-held spray bottle to mist your plants. May your coming year be filled with prosperity and an abundance of fresh food from your garden.